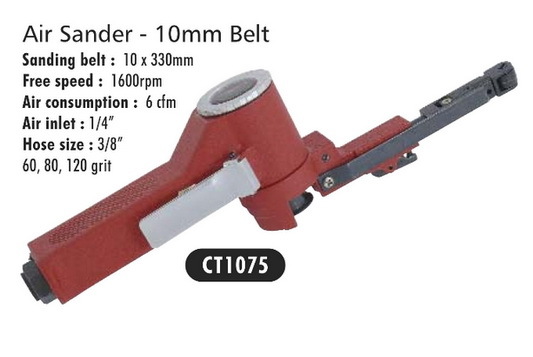 Air Sander that uses 10mm x 330mm belts. A very useful tool for model and pattern making. Head can be swiveled to get into awkward places.